The kitchen is often the bright center of a home. Schafer Electric Services, Inc helps you make it brighter with LED lighting. It’s true what they say about food: it’s the one thing that brings us together more than anything else. It doesn’t matter where you’re from or who you are, everyone needs to eat every single day. We gather around the kitchen daily to prepare and eat food, which brings us closer to family, friends, and loved ones. The kitchen plays host to celebrations, fosters the creation of new memories, and, through tradition, even brings us closer to those that are no longer with us. All tolled, it’s no wonder people invest a lot of time (and money) into their kitchens—the kitchen is probably the single most important room in most people’s homes. So, what have you done for your kitchen lately? 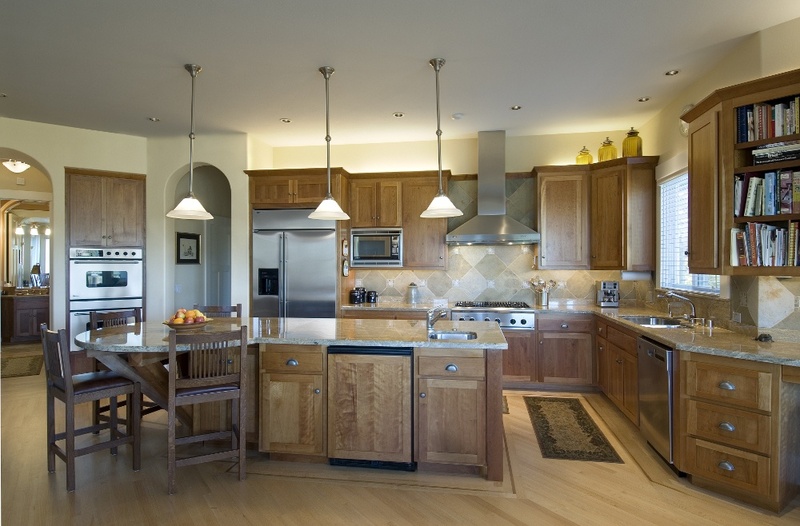 Schafer Electric Services, Inc believes that a kitchen should look and feel as special as it is. One great way to accomplish this is through the use of LED lighting. LED lighting can add a great deal of atmosphere to any kitchen (or bath, for that matter). Either as accents or fixtures, LEDs are a great choice if you’re looking to remodel your kitchen or bathroom. LED lighting is often installed in hidden recesses both underneath and above cabinets, islands, and countertops to give a sense of depth and layering to a kitchen. The result is a beautiful soft light effect that is sure to add to the atmosphere and style of your kitchen. The LEDs can also be controlled separately, allowing for customization depending on your mood. One of the best things about LED lighting is that it’s energy efficient. LEDs are extremely efficient, allowing you to achieve a fantastic look without breaking the bank. Let Schafer Electric Services, Inc Light up your Kitchen Remodel! Interested in LED lighting for your bathroom or kitchen remodel? Schafer Electric Services, Inc can help! We’re a family-owned business who’s been helping the Bay Area with all things electric for years. If you need a highly experienced, trustworthy electrician or electrical contractor, just give us a call or fill out the form below today!